I love these kitchens for their storage, islands, lights, cabinets, door styles, counters, back splashes, windows, floors and great design. 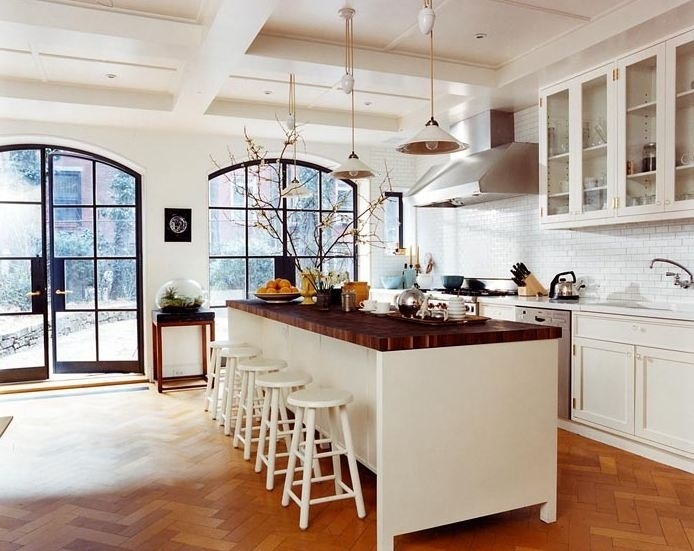 I am obsessed with the windows in this kitchen. They make me want to move into this house! 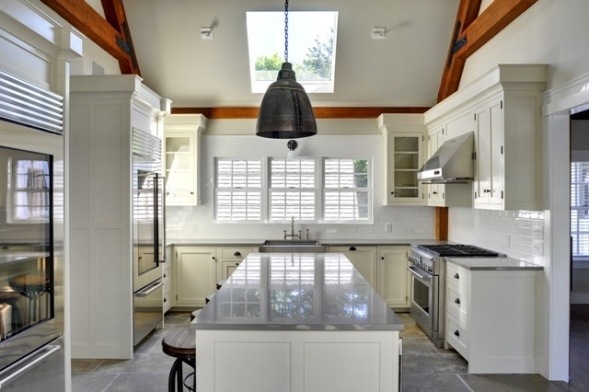 I like the way that the natural light bounces off of the counters and glass appliances. It gives the space a very light and airy feeling. 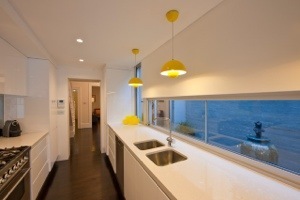 I also love this slick and cool window above the sink. When I build a house I am going to add this style window as a backsplash in my kitchen. 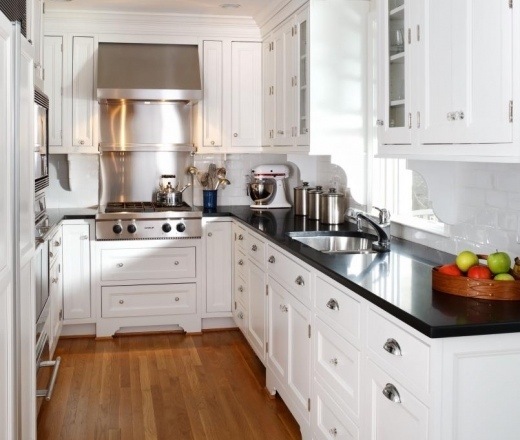 This kitchen has such a simple and clean look to it. 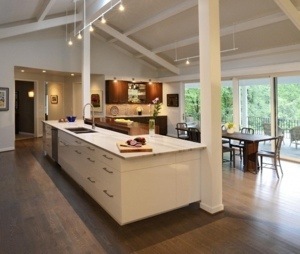 I love this space, the floors, the open barn concept and the large island. The detail on the bottom of these cabinets is so beautiful. A very nice touch in a small kitchen. I adore this kitchen. 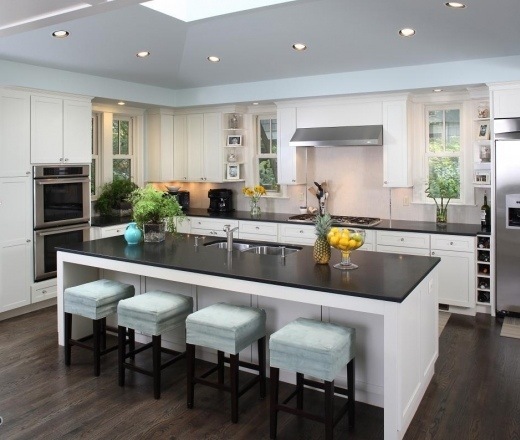 I think the dark honed counters are great with the dark floor and white cabinets! 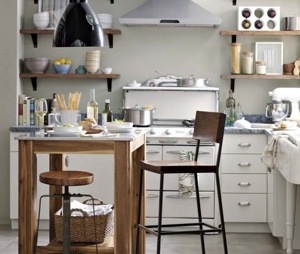 The storage in this kitchen is fantastic! I hope you enjoyed seeing my kitchen muses. I am so looking forward to my 2013 projects. I love that the friendships that are formed when working on projects are personal as the homes themselves. I hope you will enjoy going on this journey with me! If you are not following our blog please put your email in the follow box and you will never miss a post. Thank you for a great year…I look forward to getting to know more of you this year. I also want to thank my followers for everything! Happy New Year, stay tuned for photos of the New Year’s Eve wedding!! !